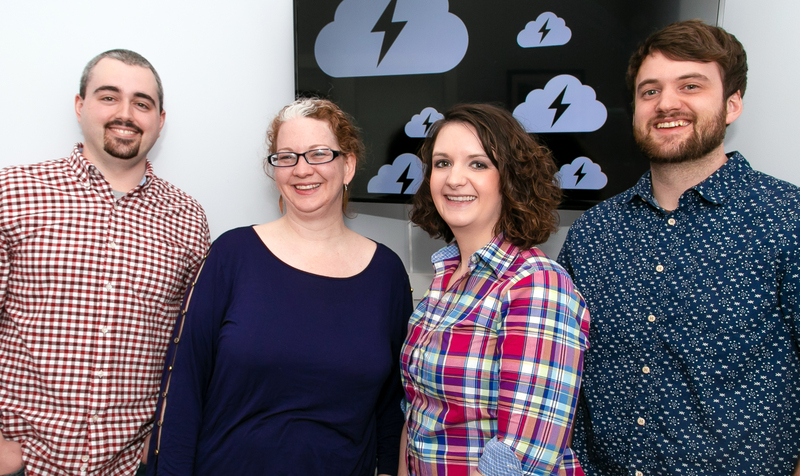 We’re excited to welcome employees in the first quarter of 2019 as Brady Charron, Monique Bouchard, Ashleigh Briggs, and Adam Shortsleeves (below) join the CourseStorm product, marketing, and customer success teams. Software Engineer Brady Charron joined the team building and maintaining the CourseStorm software in January. He brings technical knowledge, skills, and experience from his previous position as a senior web and custom app developer. “It’s great to be working with a team that’s passionate about what they do and strives to make an excellent product,” says Brady. Brady is also looking forward to his other new role as a first-time Dad starting this summer. Content Marketing Writer Monique Bouchard arrived in February, bringing more than 20 years of experience in marketing, most recently with a full-service regional marketing firm. Monique provides copywriting for a variety of materials and relevant content for CourseStorm’s audiences and media channels. In the summer, Monique can be found in full Victorian garb, telling stories about the region’s interesting former residents during historic walking tours. Also joining in February, Customer Success Specialist Adam Shortsleeves’ past experiences as a science and technology educator and PHP developer bring both technical knowledge and patient, personal support to every customer interaction. Adam works with CourseStorm customers on an individual level, prioritizing their needs to ensure a successful experience with CourseStorm. Adam’s quick thinking is always evident, be it with a witty comment, while tearing down the ski slopes, or biking through town. In March, Customer Success Lead Ashleigh Briggs joined the team. Ashleigh ensures that CourseStorm customers receive the best possible service and support so they, in turn, can provide their students with exceptional service. Ashleigh worked as the Director of Client Services and Training at UniversityTickets, an e-commerce ticketing solution for colleges and universities. She brings a unique combination of experience in business, customer service, and registration systems. Ashleigh’s also a fierce Catan player and rock solid Lego aficionado. “This is an exciting time to be leading CourseStorm, and I am pleased to continue our growth by welcoming these new hires to the team. We feel honored to work with these top performers, and know they will each make a big impact in our future growth,” said CEO Brian Rahill. We’re looking forward to many lunch walks and extra chairs on the back deck!